Atopos cvc proudly participates in Cosmos Arles Books 2016 in France with its new book titled UNLOCKED. Cosmos is a satellite project at the heart of the Rencontres d’Arles taking place during the opening week of the festival, from July 4th until July 9th 2016. It functions as a laboratory of contemporary practices in photography, publishing and visual arts, in the context of the Rencontres d’Arles, the highly esteemed and internationally known photo festival founded by photographer Lucien Clergue, author Michel Tournier and historian Jean-Maurice Rouquette in 1970. The festival policy of programming almost exclusively new work has earned it a global reputation. 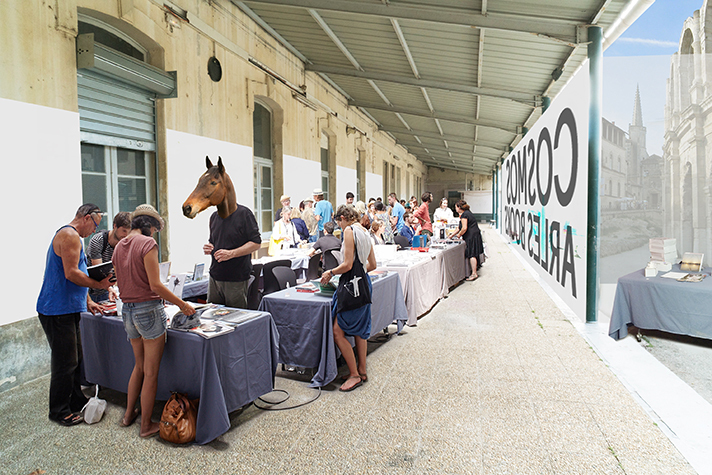 In 2015 the Rencontres d’Arles welcomed 93,000 visitors whereas a lot of artists have been discovered due to its programmes and exhibitions. This constitutes a clear proof of its significance as a platform for creative talent and emerging photography. Atopos cvc will be presenting the UNLOCKED publication in Cosmos on July 4th and 5th 2016.